Each day, more than two million people board commercial flights, according to the Federal Aviation Administration (FAA). These passengers place their safety in the hands of airlines and pilots, with the expectation that they will arrive at their respective destinations safely and without incident. As evidenced by the numerous headline-making stories we hear about each year, these flights sometimes end violently, leaving passengers severely injured and emotionally traumatized. When these tragedies occur, the skilled Los Angeles aviation accident lawyers at Taylor & Ring are ready and able to help residents of Southern California put their lives back together. We have experience representing plaintiffs involved in plane crashes and helicopter accidents, including incidents involving single-engine, personal aircraft. We understand the complexities of these cases and have the resources to aggressively fight for maximum compensation. John C. Taylor obtained a $57 million verdict in an insurance bad faith action arising from an aviation accident where three people died. It remains one of the highest award in California history. Pilot error. An aircraft pilot takes on an incredible responsibility with every flight. Poor judgment or lack of skill can place passengers in danger, as well as individuals on the ground. Pilot mistakes are particularly common during periods of inclement weather, where poor conditions can interfere with the operation of the plane. Equipment failure. Whether it is a commercial aircraft or a privately held vehicle, the plane’s owner is responsible for maintaining it in a reasonably secure manner. This includes regular inspections, as well as ensuring that proper maintenance is performed when problems arise. If some aspect of the aircraft fails to perform properly during the flight, the owner may be liable for resulting injuries. FAA rule violations. The FAA sets strict standards and procedures that aircraft owners and operators must follow. For example, the agency limits the amount of flight time a pilot can accumulate before taking a required rest period. 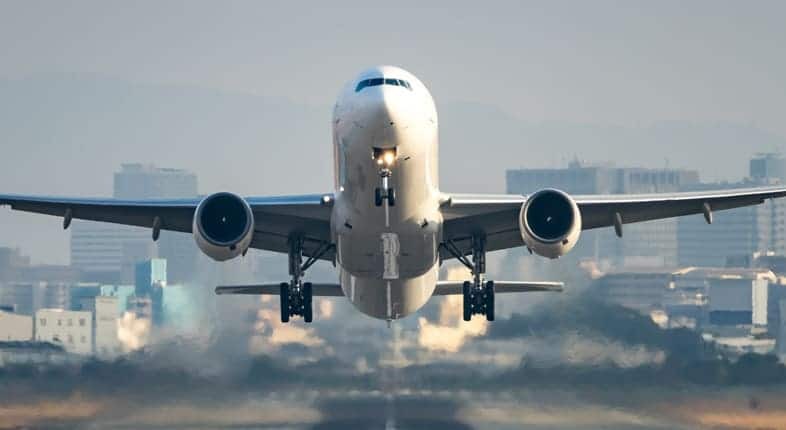 These regulations are put in place to protect aircraft passengers and crew members, and rule violations can be severely injurious, if not fatal. Structural or design problems. Sometimes a plane defect stems from the structure and/or design of the aircraft. A defective design may compromise the effectiveness of the aircraft engine or some other integral part of the plane. Our knowledgeable Los Angeles aviation injury lawyers conduct comprehensive investigations into the cause of the problem. We then fearlessly work to hold all responsible parties financially accountable. Whether your injuries occurred during the flight or as the result of a crash, our attorneys have the knowledge and experience to conduct a thorough investigation. We work with federal, state and local agencies to collect valuable documentation. We also call on independent industry experts to evaluate the government’s analysis, so we can present a comprehensive and accurate claim. We also work with residents and tourists who have sustained an injury in a hot air balloon or a helicopter, we well as though hurt in or around privately owned jets and smaller aircraft. Founding partner John C. Taylor achieved one of the highest individual judgments in the state of California for the families of three men who died in a fatal 1974 airplane crash. He relentlessly pursued this complex insurance bad faith claim over the course of 17 years, taking it all the way to the Supreme Court of the United States. In 1991, the courts ordered Beech Aircraft Corporation to pay $57 million in compensation to the victim’s survivors. Our proven Los Angeles aviation accident lawyers give each and every case the same level of commitment. We know the challenges of a life-altering injury, so we commit our time and earnest efforts to present a comprehensive case that gets you the results you need. From long-term medical expenses to ongoing physical therapy needs, we pursue awards that meet all of your current and future medical needs. At Taylor & Ring, our responsive, committed attorneys aggressively pursue challenging and complex cases. We provide a free consultation and will thoroughly consider all aspects of your accident. Our firm has a record of high-profile verdicts, settlements and case results that exemplify a deep commitment to our clients. Call us at 310-776-6390 or complete our contact form today.